Published May 8, 2015 By Leisa Good This post may contain affiliate links. Regardless, I only recommend sites I've researched and/or used and trust. Are you always looking for ways to improve your job hunting skills? Are you looking for an easier way to find legitimate jobs? Are your Google search skills considered above average? Well, then it doesn’t sound like anything should be stopping you from using Google Alerts to find legitimate, work from home jobs. The really great thing about Google Alerts is that the Alerts will be emailed to your account, and this will save you hours and hours of time searching and researching these online opportunities. If you don’t currently have a gmail account, you may want to go ahead and sign up for one—it's FREE. After you set up your gmail account, you can then go ahead and set up your Alerts page. There are many other things that you can be alerted to, such as movies, news, and technology updates. If you believe that your overall Google search engine results or skills could be improved, you should read this article. Be patient. It may take a quite a bit of experimentation to feel that you are getting the types of jobs that you are really looking for, so be willing to constantly refine your search. Be willing to perfect your current Google search engine skills to learn how to receive a more refined search. Be able to spot trends. Sometimes when searching for a work-at-home job, a specific skill set will start to be required more and more. Be willing to work that into your search results as well if you really do have that skill. How Could a Google Alert For a Work-at-Home Job Be Set Up? This is assuming that you have already set up your account and are on the Alerts page as referenced above. This is also assuming that you have also read the other article on improving your search engine results. In the most basic sense of Google Alerts, your main search field would be “work-at-home jobs” (without the quotes). Below are the “drop down menu” answers for a very basic set up for your job alerts. However, it will ultimately be up to you as to how you want to define your search. In How Often: you could decide on once a day or as-it-happens. I would choose as-it-happens, since you want to try to get a jump on the competition. In Sources: you can choose what you want, but I would go with either web or discussions. Sometimes the news is a good source too if a company has been in the headlines lately. In Language: you can choose English unless you do know several other languages. In Region: you can choose United States, unless you have a desire to work overseas, or you aren't based in the US. In How Many: you can choose all or only the best results. I would choose all if I wasn’t sure that I had my search refined and only the best results if I knew I had my search refined. In Deliver To: you may use your Gmail account or your RSS feed. I would just use the Gmail account. Again, keep in mind that this is the most basic search for work-at-home jobs. And this is assuming that you are not particular and will try just about any of them. Try your main search engine words with or without quotes. See what quotes will do or not do with the results. For example: work-at-home jobs or “work-at-home jobs” as well as try the term without the hyphens too. Many times it is best not to use the hyphens at all, but again be willing to try different variations. Use the words and/or as a way to see what the results could be. Experiment with the wild card known as the asterisk or *. For example, if you are not certain what word to use, just type what you know and insert the asterisk. This would be if you weren’t sure what you wanted your title to be. The real experiment with the asterisk is whether or not to put it before the main search word or after it. 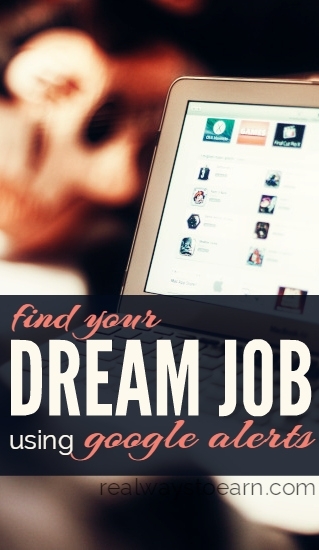 All of these tips and techniques are designed to help you find just the work-at-home job leads that you want. You can also use similar searching techniques to find freelance clients. The better you become at searching for just what you want, the better you will become at finding just what you want. Good luck. P.S. – For even more legit job leads posted five days a week and hand-screened for legitimacy, check out FlexJobs. This is a site we use and trust. You can get 30 percent off your subscription using promo code AFFILPROMO.